“Eight months after the Elgar Parishad, the present detenues were arrested...it is undisputed that none of these five activists were associated with the organisation of the event or that they were not even present there...as for the allegation regarding the scheme to attack the office of the Prime Minister on the line of the Rajiv Gandhi assassination, No FIR has been registered. The state itself is not taking the claim seriously?”, reiterated Senior Advocate Abhishek Manu Singhvi. Once again, he referred to the Mayor’s Committee report and the original stand of the government of Maharashtra imputing the Bhima-Koregoan violence to Hindutva activists Sambhaji Bhide and Milind Ekbote. He also indicated the findings of a non-official inquiry at the behest of a retired judge of the Hyderabad High Court, Justice B. Chandra Kumar, attaching liability over the riots to Bhide and Ekbote, who had instigated the Marathas against the Dalits, and criticising the inaction of the local police. Countering the claim that these activists have a past history of criminality, the Senior Counsel indicated the striking fact that of the 25 and 11 cases respectively against them, Varavara Rao and Arun Ferreira have been acquitted in all, while Vernon gonsalves was acquitted in 17 out of 19, his discharge pending in one and in another where the appeal is pending, he has already served the sentence. The others have no cases at all against them. Dr. Singhvi repeated that the 13 letters leaked into public domain, of which the seven that canvass a “Rajiv Gandhi kind of incident” are purported to have been exchanged between one Comrade Prakash and the five accused, are ex facie fabricated and false. “It has been admitted that the letters are yet to be forensically verified...they do not find a mention in the chargesheet, in any transit remand application and have not been placed on record in any court of law...further, in Saibaba’s conviction (Delhi University Professor and Maoist activist G. N. Saibaba), the sessions court has recorded a finding that ‘Comrade Prakash’ is in fact Saibaba himself. But He has been in jail since March 7, 2017 and all the letters are after that!”, he advanced. Relying on the seizure memo, he also indicated that the letters were retrieved from the computer of a third person. Dr. Singhvi expressed surprise at how the Panch witnesses, in a departure from the procedure, were strangely employees of the Pune Municipal Corporation. “I am not saying that I am above the law. I am only seeking a reassurance of confidence that the investigation shall be overseen by an independent person...I want a supervision, by whatever name it may be called, to impart a sense of confidence”, he prayed. As in the past hearings, ASG Tushar Mehta yet again attacked the locus of the petitioners, calling them “strangers” and describing the PIL as a “surrogate petition”. 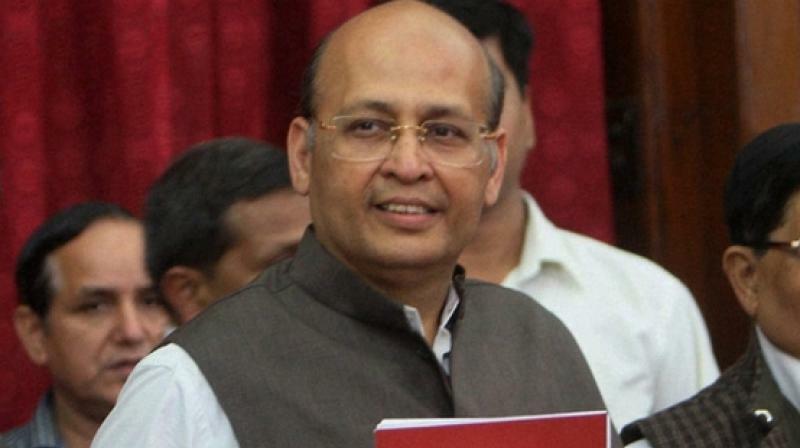 Once again Dr. Singhvi insisted that the five accused-activists have filed a supplementary affidavit for impleadment. “These are people who have been writing articles strongly condemning the first batch of arrests made in June. They hold a different view which is not barred in this free country!”, pressed the Senior Counsel. To buttress his cause, he depicted how the apex court has previously constituted a SIT under Article 32 in NHRC v. State of Gujarat (2008), Common Cause (abuse of power by the CBI in the coal block allocation scam), Vineet Narain (hawala transaction), Ram Jethmalani v. UOI (2011) and the Sunita Devi murder case of Haryana. “Primarily, we are here because we believe that the liberty aspect, which is the central theme of Article 21, is the main concern...we feel that this is a foisted and a cooked up investigation...while Article 14 and natural justice is placed at the highest pedestal in the civil jurisprudence, in criminal matters, it is generally reversed...In a very caliberated system of selective leakages, the entire episode was shown as a maoist plot to blow up the country or to kill the sovereign leader...Your Lordships must balance the needs of justice by placing fair conditions...anyway, nobody can run away anywhere...in lesser cases, Your Lordships have set up the SIT...”, he rested his case.